When you first see this page, a yellow patch will appear with a message to say that you will need to register to log in. 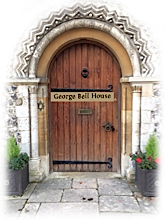 Click the "Login" button in the blue bar above this text or click on the image of a door at the foot of the page. Either link will take you to the login screen for the Rebuilding Bridges website. Below the login box, on the LH side, is the word "Register" : click this and fill in your preferred user name (if it has already been registered, you'll have think up another, unique one). The other piece of information you will be asked for is your email address. 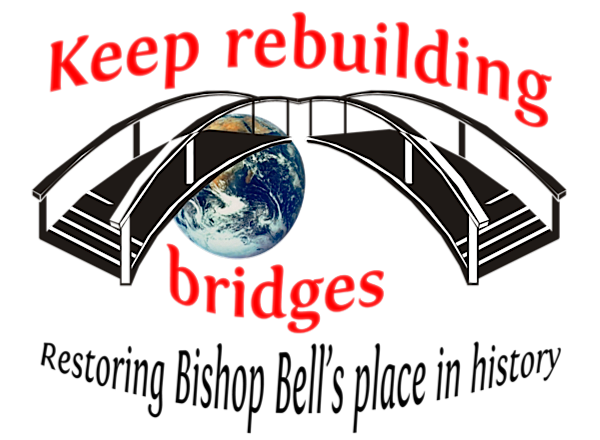 The website will then send you an email automatically from "wordpress@rebuildingbridges" -- this email will contain a secure link that you can use to set a password for your Rebuilding Bridges login. Some email software may banish this automated email to the spam box, so please check before re-doing the registration. If you don't complete the registration, the WordPress system will require another (unique) email address and a different (unique) username for every attempted registration. Once you are logged in for the first time, it is a good idea to edit your profile, entering your real first and second names and choose a public identity for your forum posts. For instance Fred Flintstone might prefer to use his stage name for his forum posts instead of his username of "caveman". The point is that as long as they are unique, usernames can be as wacky as you like, because you can collect your sensible face on the other side of the login. Enjoy.